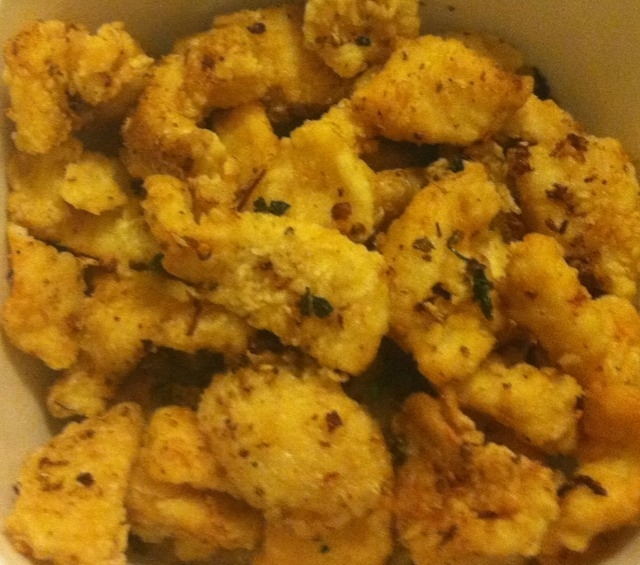 Mangy loves fried calamari, and we were lucky enough to score a tray for $10 at South Melbourne Market yesterday. Bargain! Cut open calamari tubes and score in a criss-cross fashion. Then cut the calamari into 2 inch long pieces. Heat fresh oil, drop ingredients (a) Fry until crisp. In a mortar and pestle, pound ingredients (b) into a fine powder. Place fried calamari, fried ingredients (a) and powdered (b) into a large bowl, toss well and serve with a lime wedge (optional).